CHICAGO, May 1, 2018 /PRNewswire/ -- Boeing [NYSE: BA] announced today it has entered a definitive agreement to acquire KLX Inc. [NASDAQ: KLXI] to enhance its growing services business. The agreement comprises an all-cash transaction for $63 per share and the assumption of approximately $1.0 billion of net debt, totaling $4.25 billion. Boeing's acquisition of KLX Inc. will include KLX Inc.'s Aerospace Solutions Group, and is conditional upon the successful divestment and separation of KLX Inc.'s Energy Services Group. KLX Inc. is a major independent provider of aviation parts and services in the aerospace industry. Its capabilities include global parts distribution and supply chain services for aerospace and defense industries worldwide. KLX Inc. will be part of Boeing Global Services and fully integrated with Aviall. KLX Inc. is also a leading supplier of chemical composites, with this combination broadening the scope of what Aviall can offer to customers in this space. "This acquisition is the next step in our services growth strategy, with a clear opportunity to profitably grow our business and better serve our customers in a $2.6 trillion, 10-year services market," said Stan Deal, president and CEO of Boeing Global Services. "By combining the talent and product offerings of Aviall and KLX Inc., we will provide a one-stop-shop that will benefit our supply chain and our various customers in a meaningful way." KLX Inc.'s Aerospace Solutions Group employees and operations will be integrated with Aviall, providing a clear path for the business to accelerate growth. The Miami facilities are expected to continue to remain the principal operating location. "Our customers have long desired a supplier who could offer essentially 100 percent of their requirements for fasteners, consumables and expendables. The combination of Aviall and KLX Aerospace facilitates the broadest scope of parts and products to support all customer fleet types for the commercial, military and defense and business and general aviation markets," said Amin Khoury, KLX Chairman and CEO. "This business combination will enable us to deliver industry-leading value-added service solutions for our customers, and outstanding growth opportunities for our suppliers." KLX Inc.'s Aerospace Solutions Group FY2017 revenue was $1.4 billion. Boeing expects the acquisition to have a neutral earnings impact through 2019 and accretion thereafter, with annual cost savings growing to approximately $70 million by 2021 and further improvements realized over time. The transaction will be financed primarily with cash on hand, supplemented with debt. The completion of the transaction is subject to customary conditions, including regulatory clearance and the approval by a majority of KLX Inc. shareholders. The sale is expected to close by 3Q 2018. The transaction is also subject to the successful divestment and separation of KLX Inc.'s Energy Services Group. With approximately 2,000 employees, KLX Inc.'s Aerospace Solutions Group is headquartered in Miami with customer service centers located in more than 15 countries. As a major independent provider of new aviation parts and related aftermarket services, KLX Inc. markets and distributes products for approximately 2,400 manufacturers and offers approximately 1 million catalog items. Boeing is the world's largest aerospace company and leading manufacturer of commercial airplanes and defense, space and security systems. Boeing is also the world leader in combined commercial airlines and government services with customers in more than 150 countries. The company's products and tailored services include commercial and military aircraft, satellites, weapons, electronic and defense systems, launch systems, advanced information and communication systems, and performance-based logistics and training. Boeing employs approximately 140,000 people across the United States and in more than 65 countries. Certain statements in this release may be "forward-looking" within the meaning of the Private Securities Litigation Reform Act of 1995, including statements regarding the expected timetable for completing the transaction, future business prospects, and benefits and synergies of the transaction, as well as any other statement that does not directly relate to any historical or current fact. Forward-looking statements are based on current assumptions about future events that may not prove to be accurate. These statements are not guarantees and are subject to risks, uncertainties and changes in circumstances that are difficult to predict. Many factors could cause actual results to differ materially from these forward-looking statements. As a result, these statements speak only as of the date they are made and we undertake no obligation to update or revise any forward-looking statement, except as required by law. Specific factors that could cause actual results to differ materially from these forward-looking statements include the effect of global economic conditions, the ability of the parties to consummate the transaction, our ability to successfully integrate KLX's business and realize anticipated synergies, and other important factors disclosed previously and from time to time in reports filed by Boeing and KLX with the Securities and Exchange Commission. Donauwörth – Last week, Airbus Helicopters delivered the 200th H145 to Norsk Luftambulanse (NOLAS). The Air Rescue Operator will use the helicopter for Helicopter Emergency Medical Services (HEMS) in Norway. The 200th H145 is the final H145 delivered to NOLAS under its current order, bringing the operator’s Airbus fleet to a total of eight H145s and seven H135s, all dedicated to delivering HEMS from bases across Norway. This fleet renewal will equip NOLAS to be the only air ambulance operator worldwide to operate a 100% Helionix-equipped mixed fleet of H135s and H145s, ahead of commencing operations on 1st June as Norway’s national HEMS operator. The global H145 fleet has achieved more than 100,000 flight hours since entry into service in 2015, with Babcock being the largest global H145 operator. This customer has a global fleet of 31 H145s in service, operating in HEMS and police missions. G-SASS, an H145 operated by Babcock for Scottish Ambulance Service, is the global H145 fleet leader with more than 2,500 flight hours. The entire H145 family (H145, EC145 and BK117) has accumulated more than five million flight hours, with more than 1,400 helicopters delivered to date. The H145 is the most advanced member of Airbus Helicopters’ multi-purpose twin-engine category. Thanks to its compact size, large and flexible cabin which is quickly and easily reconfigurable, lowest maintenance costs in its class, powerful engines and the latest Helionix avionic suite with four-axis-autopilot, the H145 is the aircraft of choice for high intensity operations across the widest range of missions (including military, law enforcement, HEMS, utility and including business aviation). In an effort to inspire students to pursue science, technology, engineering and math (STEM) careers, the site’s interactive curriculum brings aerospace into the classroom by teaching students about space exploration, including what it takes to survive in space and fly a mission to the moon. The Airbus Foundation Discovery Space project offers students the opportunity to build their own virtual spacecraft in Autodesk Tinkercad and Autodesk Fusion 360 software, factoring in parameters such as robustness to break through Earth’s atmosphere, trajectory and impact for landing on the moon. Students can also build portfolios and submit designs to win the “Mission to the Moon” challenge. In addition, the Airbus Foundation Discovery Space project includes downloadable videos and step-by-step guides inspiring future engineers. The Discovery Space website compliments the Foundation’s onsite STEM programmes, like the Airbus Foundation Discovery Space at Stevenage, United Kingdom, a site-specific installation where young people can discover aerospace through hands-on experiences. Please click here for a video with Tom Enders and Mary Hope McQuiston talking about their passion for aerospace and the Airbus Foundation Discovery Space. Airbus inaugure sa nouvelle plateforme logistique Airlog II, d’une superficie de 36 000 m2, soit l’équivalent de cinq terrains de rugby, située zone de Barquil à Toulouse-Cornebarrieu, sur le même site que le premier bâtiment, Airlog I.
Cette plateforme de dernière génération sera dimensionnée pour absorber toutes les activités logistiques d’éléments de « cabine » pour les avions de la famille A350 XWB, A330, et A320 dont les aménagements sont réalisés à Toulouse. Cette nouvelle plateforme logistique représente un investissement de plus de 30 millions d’euros pour Airbus. « Ce nouveau hub est conçu pour accélérer les flux d’entrée et de sortie et ainsi nous permettre une plus grande réactivité pour répondre aux besoins des chaînes d’assemblage.Les entrepôts de stockage actuels, répartis jusqu’alors sur plusieurs sites en région Occitanie seront regroupés sur un seul et même site. Un tel rapprochement va permettre d’économiser un demi-million de kilomètres de transport de marchandises par an, soit 1000 tonnes de CO2, l’équivalent de la consommation de 500 véhicules particuliers sur une année » explique Emmanuel de la Sayette, Chef de Projet Airlog II pour Airbus. Les matériaux et méthodes de constructions utilisés pour la conception de l’ensemble du bâtiment sont respectueux et conformes aux normes environnementales. Airbus souhaite équiper le parking de structures photovoltaïques visant à produire 1,1 Mwh/an soit l’équivalent de la consommation annuelle de 1 232 habitants. La consommation d’énergie du bâtiment est inférieure de 56% à celle des bâtiments actuellement utilisés. Sur le toit de ce nouveau bâtiment, un système de chauffage permet la filtration de l’air et l’élimination de la poussière. De plus, l’éclairage naturel par des puits de lumière a été privilégié. Une attention toute particulière a aussi été apportée à l’environnement avec la préservation de la forêt et de la zone humide existantes aux alentours du nouveau bâtiment et grâce à la plantation de 268 nouveaux arbres. Airlog II s’inscrit dans la stratégie logistique qu’Airbus a initiée en 2012 et qui a donné lieu à l’ouverture d’Airlog I en 2014 (36 000 m²) et à son extension en 2017 (+12 000 m²). Airlog I, est dédié aux activités logistiques pour les éléments de structure et les équipements de tous les programmes avions. Avec Airlog II, nouveau « hub » pour des éléments de cabine, Airbus sécurise le développement de sa logistique sur le long terme, sur la zone de Barquil, au plus proche des chaînes d’assemblage. Avec ces deux plateformes géantes, 84 000 m2 de stockage au total sont disponibles et plus de 200 personnes travaillent sur ce nouveau site. Les opérations logistiques au sein d’Airlog II sont réalisées par le groupe Daher. Demostraciones de vuelo de los más modernos sistemas por parte de empresas multinacionales. Será el mayor evento especializado en Sistemas Autónomos o Remotamente Tripulados celebrado hasta ahora en Europa. Madrid 3 de mayo de 2018.- El nuevo Palacio de Exposiciones de León acogerá los días 29, 30 y 31 de mayo UNVEX Security & Defense 2018, un evento dedicado a los vehículos autónomos o remotamente tripulados y a las aplicaciones de esta tecnología, sus mercados y el desarrollo de la industria. Se trata de un evento integral que incluye un programa de conferencias, que ya se ha postulado como el más importante de Europa, con ponentes reconocidos, nacionales e internacionales, dentro del ámbito de los sistemas no tripulados para la Seguridad y Defensa. Una serie de talleres especializados que cubren nuevas tecnologías en plataformas, comunicaciones o los sensores. También se podrán observar diferentes demostraciones en vivo de Vehículos Aéreos No Tripulados UAV (por sus siglas en inglés) y Vehículos Terrestres No Tripulados UGV (por sus siglas en inglés), así como sistemas anti drones de última generación, que operarán en un teatro que recrea una base de UAV. El lugar escogido es el nuevo Palacio de Exposiciones de León, que ofrece unas instalaciones modernas que acogerán la exposición y el ciclo de conferencias que tendrán lugar a lo largo de los tres días. La exposición quedará abierta para público general profesional por la tarde. 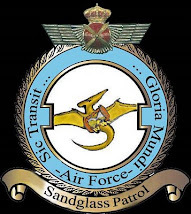 A esta sede principal se unen la Base Aérea ‘Virgen del Camino’, que ofrece unas excelentes instalaciones para RPAS de gran tamaño; y también la Base Militar ‘Conde de Gazola’, que dispone de una base de UAV, totalmente equipada, con una pista de 800 metros y un espacio segregado para hacer demostraciones. UNVEX es un evento reconocido que ya ha celebrado cuatro ediciones en nuestro país y cuatro en América Latina. Cuenta con el total apoyo de las autoridades españolas y europeas, los profesionales y la industria. En este evento se podrán ver demostraciones de vuelo en vivo de 16 drones que disponen de la más alta tecnología en defensa y seguridad. Incluyen desde sistemas de gran tamaño y autonomía, como el Fulmar, el Tarsis o el Atlantic, a micro-drones como ele Black Hornet o el Snipe, así como novedades como el sistema remoto cautivo Orion o el vuelo de enjambres. Según el informe realizado por el analista de mercados neerlandés ASD Reports, que analiza los mercados de Estados Unidos, Europa, Asia y Pacífico, Próximo Oriente, África y Latinoamérica, a mediados de la década del 2020, el mercado mundial de drones superará los 20.000 millones de euros anuales, siendo el mercado militar y de seguridad un tercio de este total. El desarrollo industrial europeo dentro de este campo necesita un impulso coordinado para garantizar la soberanía tecnológica y la autonomía estratégica de Europa. Actualmente el continente europeo no dispone de un foro específico sobre Sistemas Autónomos o Remotamente Tripulados, por lo tanto uno de los objetivos de UNVEX es establecer un punto de encuentro internacional que potencie la cooperación en beneficio de la seguridad y el bienestar de los europeos. UNVEX S&D 2018, que se celebrará del 29 al 31 de mayo, cuenta con el apoyo del Ministerio de Defensa, siendo la ministra su presidenta de honor, y de las Administraciones locales y de la Universidad de León. Además, UNVEX será el evento inaugural del nuevo Palacio de Exposiciones de León. Madrid, 4 Mayo 2018.- La empresa española Acuilae anuncia el lanzamiento pionero de ETHYKA: el primer módulo ético en inteligencia artificial para el sector de la automoción que, siguiendo diferentes patrones éticos, criterios de decisión y comportamientos humanos, es capaz de analizar diversos dilemas complejos para optimizar el funcionamiento de los equipos de inteligencia artificial, mejorar sus decisiones y evitar su corrupción. El módulo ha sido pensado y diseñado por un equipo español de profesionales multidisciplinares de tecnologías de última generación. Cristina Sánchez, CEO de Acuilae, y de amplia trayectoria en Accenture para grandes compañías, es estadística, informática y data science. También ha colaborado activamente en este proyecto Pedro Diezma, uno de los mayores expertos mundiales en Wearable Technology (“tecnología vestible”), Internet of Things (“internet de las cosas”), Human Enhancement Technologies (HET), miembro de MENSA y Premio “Mejor Iniciativa” Wearable en eSalud 2017 y “Mejor Solución” tecnológica 2018 a la seguridad laboral. En el ámbito de la automoción, ETHYKA ayuda a tomar decisiones de componente ético a sistemas autónomos de conducción y en la gestión de dilemas, comportamientos ante situaciones impredecibles y patrones predecibles. Actúa en la detección de comportamiento no ético de conductor de trenes, metros, autobuses como dormidas, desvanecimiento, comportamientos extraños, comunicando la incidencia y activando todos los protocolos de urgencia inmediatos, para estacionar el medio de la manera más segura y en el menor tiempo posible. Los pensadores en la actualidad están preocupados por el desarrollo de conciencia en la inteligencia artificial. Desarrollar conciencia en robots no es lo mismo que darles las funciones para realizar acciones contraproducentes. La cuestión es conocer de qué forma se va a incluir la ética en la inteligencia artificial. Hasta el momento, la inteligencia artificial de dominio específico es aquella que se enfoca en la realización de algoritmos que son destinados a resolver solo una tarea determinada. Aunque estos algoritmos generalmente son más eficientes que los humanos a la hora de desempeñar la tarea, no tienen un rango de ejecución más allá de la razón por la que fueron programados. Dotar de ética a la inteligencia artificial asegurando que, en nuestro futuro próximo y cercano, las acciones derivadas del análisis de datos se ejecutarán mediante actuaciones y decisiones éticas, y en un mundo más seguro, mejor y respetuoso con los demás humanos, es el objetivo de ETHYKA, un proyecto desarrollado por la empresa española Acuilae. ¿Cuál debe ser el comportamiento ético que deben seguir los robots, máquinas y sistemas automatizados? La incorporación de ETHYKA en los nuevos productos tiene el objetivo de convertirse en un estándar para las organizaciones dedicadas al desarrollo y producción de tecnología basada en la Inteligencia Artificial. Determinados sistemas asistenciales y robots en contacto con humanos tienden a corromperse. El contacto de robots, bots y asistentes virtuales de aprendizaje automático puede derivar en este tipo de comportamientos. ETHYKA viene a resolver el problema de la potencial “corrupción” moral de sistemas de aprendizaje autónomos en contacto con humanos, la mejora en la toma de decisiones de sistemas híbridos hombre-máquina y de las acciones de sistemas autónomos (vehículos, robots o drones). Su framework permite implementar fácilmente y con agilidad modelos éticos en sistemas de inteligencia artificial (robots, asistentes virtuales, etc.). Puede ser implementado en asistentes virtuales, unidades autónomas o simplemente en cualquier app o web services. Ofrece un marco de referencia y un interfaz de programación de aplicaciones para que sean utilizados por desarrolladores en sus proyectos de software y hardware, permitiéndoles una rápida implementación, una personalización a medida y dotando de un componente ético a los sistemas. Todo ello con una instalación ya entrenada y configurada, rápida y funcional. ETHYKA es un módulo que ha sido pensado y desarrollado para dar solución al problema de toma de decisiones ante dilemas éticos que nos encontramos en la sociedad en diversos ámbitos profesionales (medicina, justicia, educación), en ámbitos sociales y culturales (cuidado de mayores, museos, cines) o en medios de transporte (trenes, aviones, coches), entre otros. Primer Nivel: Funcionamiento de la ética en el cerebro humano. En este nivel ETHYKA define el proceso de la toma de decisiones en el cerebro y las diferentes áreas del cerebro. Segundo Nivel: Estructura de funcionamiento de los diferentes componentes de la plataforma ETHYKA de forma similar a como lo hace nuestro cerebro en el primer nivel. Tercer Nivel: Se accede en detalle a la infraestructura de la plataforma ETHYKA. La ética ha estado presente en el ser humano desde siempre como reguladora de los actos humanos, abocando a cada persona a pensar entre lo que es bueno o malo y de esa manera guiar sus acciones, las cuales van a determinar su desarrollo en la sociedad. La ética es el pilar de la convivencia con reglas, valores y principios morales para vivir en comunidad sin perjudicarse unos a los otros de manera salvaje. Independientemente de la sociedad o cultura en la que se viva, captamos por diversos medios la existencia de dichas normas y, de hecho, siempre estamos afectados por ellas en forma de consejo, de orden o en otros casos como una obligación o prohibición, pero siempre con el fin de tratar de orientar e incluso determinar nuestras acciones. La inteligencia artificial es una realidad que ha empezado a relacionarse e interactuar con nuestras vidas e incluso a gobernarla en algunos aspectos. Convivimos y conviviremos con sistemas que son gobernados mediante inteligencia artificial, sistemas que tomarán decisiones autónomas, decisiones que tendrán su impacto en nuestra vida diaria y en nuestra convivencia con los demás. La robótica y la inteligencia artificial afectarán en profundidad a nuestras relaciones económicas, sociales o políticas. Todos los sectores y grupos sociales se verán afectados. Y en el mundo actual se reclaman comportamientos éticos y morales en todos los ámbitos, especialmente durante la toma de decisiones, buscando impulsar una decisión ética permanente sobre los desafíos existentes en la sociedad. ¿Quién nos asegura que estos sistemas tomarán decisiones “humanas”? ¿Se plantearán estos sistemas los aspectos éticos en la toma de sus decisiones? ¿Se limitarán a evaluar simplemente entradas de datos y tomarán la decisión objetivamente más positiva desde un punto de vista de un simple cálculo matemático o una ponderación coste-eficacia? ¿Pondríamos nuestras vidas o las vidas de nuestros hijos en manos de sistemas cuyo único razonamiento para la toma de decisiones sean entrenamientos sesgados y/u operaciones matemáticas? ¿Qué principios deberán regir a los robots? ¿Cómo afecta de manera distinta a diversos grupos sociales y en distintas regiones del mundo? ¿Cómo será la Inteligencia Artificial en un futuro próximo? Por mucho que el cerebro humano parece un prodigio de la naturaleza capaz de hacer cosas bastante impresionantes, lo cierto es que el conjunto de datos con los que trabaja siempre está lleno de lagunas. De hecho, ni siquiera es capaz de procesar debidamente toda la información que le va llegando en tiempo real a través de los sentidos. Lo que hace el cerebro humano es obedecer al principio de supervivencia: lo que importa no es conocerlo todo, sino conocer lo justo para sobrevivir. La atención es el mecanismo por el que se seleccionan ciertas partes de la información disponible y se ignoran otras. De este modo, el sistema nervioso es capaz de localizar elementos de información que resultan relevantes para focalizar la atención en ellos y no en otros, todo ello dependiendo de cuál sea nuestro objetivo. Los tipos de estímulos que el cerebro interpreta incluyen sonidos, luz, olores y dolor. ETHYKA de igual manera es capaz de recepcionar toda la información que le llega a través de cámaras, audios, sensores, información recibida a través de apps, frameworks, etc., mediante un formato de entrada que recogerá distintas partes de información. El primer paso del cerebro es generar la emoción en la capa central del cerebro, evaluar el significado biológico de la información recibida, que puede ser positivo o negativo. La amígdala cerebral une la emoción y la motivación. El lóbulo frontal es capaz de frenar los impulsos automáticos y decidir acorde con los valores y normas que tiene guardados. En la segunda fase, ETHYKA utiliza un catálogo de dilemas con factores predeterminados en función del tema tratado para determinar la existencia o no del dilema.Y advierte de la existencia o no del dilema y de las acciones a tomar en función del escenario en el que se esté utilizando. ETHYKA cuenta con un gran almacenamiento de memoria, por lo que es más eficaz y rápida en momentos determinados. La respuesta cognitivo emocional se obtiene cotejando la información del contexto con las expectativas de recompensa en función a los valores y las normas que cada uno es libre de respetar. El análisis que valora las convicciones es más lento, porque exige calcular las ventajas y los inconvenientes; dado que el cerebro ético, frente a un dilema, funciona como un atajo emocional que supone la intuición del bien y del mal como guía natural pero sin determinar la conducta. Los valores no se encuentran determinados biológicamente y son diferentes en cada cultura. La capacidad de frenar las emociones es la que permite analizar y decidir; y esa función la ejerce el lóbulo frontal, la parte del cerebro más evolucionada. Estas neuronas frenan la información que llega desde la amígdala, procesan las expectativas y pueden proyectar el futuro. Primera Fase: Determinando qué tipo de ética se va a utilizar, puede ser que sea una o varias, dependiendo del escenario. Entre ellas: la ética aprobativa, la autónoma y heterónoma, la evolutiva, la teológica, la social, la cívica y la profesional. Segunda Fase: Qué principios debe de cumplir, dependiendo del escenario y del tipo de ética asignado. Tercera Fase: En su utilidad más compleja, utiliza machine learning/Deep learning para generar predicciones, que ayudarán a contrastar la toma de decisiones éticas de los dilemas planteados en base a la información almacenada. En su utilidad más fácil, simplemente bloqueará resultados impropios, como por ejemplo en su aplicación en asistentes virtuales o en chatbots. Se tiene conocimiento total sobre el problema, las alternativas de solución que se planteen van a causar siempre resultados conocidos e invariables. Al tomar la decisión solo se debe pensar en la alternativa que genere mayor beneficio. La información con la que se cuenta para solucionar el problema es incompleta, es decir, se conoce el problema, se conocen las posibles soluciones, pero no se conocen con certeza los resultados que pueden arrojar. Se posee información deficiente para tomar la decisión, no se tienen ningún control sobre la situación, no se conoce cómo puede variar o la interacción de las variables del problema. Las soluciones de ETHYKA son válidas en todas estas circunstancias con soluciones para cada sector, en una cultura o país determinado y bajo unas reglas de comportamiento diferentes y específicas de cada sociedad. ETHYKA en una solución de la compañía española Acuilae. El equipo está dirigido por Cristina Sánchez con la colaboración de profesionales multidisciplinares de tecnologías de última generación. Cristina Sánchez, CEO de Acuilae, es diplomada en Estadística por la Universidad Complutense de Madrid, ha trabajado durante 19 años como informática para el Grupo Accenture en grandes clientes como Banco de Santander, BBVA, Endesa o Barklays Bank, y es Master en Data Science. Pedro Diezma, colaborador del proyecto, es uno de los mayores expertos mundiales en Wearable Technology (“tecnología vestible”), Internet of Things (“internet de las cosas”) y Human Enhancement Technologies (HET), miembro de MENSA y Premio “Mejor Iniciativa” Wearable en eSalud 2017 y “Mejor Solución” tecnológica 2018 a la seguridad laboral. Ha desarrollado proyectos para más de 450 empresas, tratando con 850 equipos pertenecientes a grupos como Telefónica, Sanitas, Airbus, Mahou, Samsung y Microsoft. Acuilae es una empresa española dedicada a la implantación de las últimas tecnologías aplicadas a la inteligencia artificial, para la transformación digital de las empresas. Además de ETHYKA, Acuilae investiga y desarrolla métodos de aprendizaje automático con los que optimizar los gastos e incrementar los beneficios y conseguir objetivos planteados dentro de cualquier negocio. Otros productos que está desarrollando Acuilae son machine trainers para el entrenamiento de algoritmos y sistemas de asistentes de voz para la tercera edad. Sevilla, 4 de mayo de 2018.- Elimco Aerospace, compañía especializada en soluciones tecnológicas de alto valor añadido para los sectores aeroespacial, defensa, ferroviario y naval, entre otros, prevé triplicar su facturación en los próximos cuatro años, hasta superar los 15 millones de euros en 2022. Con este plan de negocios, la firma andaluza participará en la cuarta edición de Aerospace and Defense Meetings Sevilla, el evento de negocios de la industria aeroespacial más importante de España, organizado por la Consejería de Economía y Conocimiento, a través de Extenda-Agencia Andaluza de Promoción Exterior, y por la empresa BCI Aerospace. El objetivo de Elimco Aerospace para esta cita clave para el sector aeroespacial a nivel mundial es potenciar alianzas con sus clientes actuales y generar nuevo negocio, alrededor de las áreas geográficas donde potenciará su posicionamiento, Madrid, Francia, Alemania e Italia. En este sentido, Juan Salas, consejero de la empresa tecnológica, ha señalado que “nuestro objetivo es consolidar la relación de confianza con nuestros clientes, así como presentar nuestras capacidades a aquellos que todavía no nos conocen, ahora que la compañía dispone del músculo financiero aportado por su accionista Ingemont y adaptado al crecimiento previsto”. En la consecución de esta meta, el mercado internacional juega un papel fundamental, habida cuenta del carácter global de los principales programas. Por ello, la compañía se presentará en ADM Sevilla 2018 como un socio solvente no solo para las grandes firmas aeronáuticas y de defensa, sino también para los proveedores de primer nivel (Tier 1) tanto nacionales como internacionales, garantizando los máximos estándares de cumplimiento en plazos, calidad y precio. Elimco Aerospace cuenta con el respaldo de Ingemont, que la adquirió en 2017, con el objetivo de poner en marcha un plan estratégico con el que relanzar la compañía y aprovechar su ventaja competitiva como empresa de referencia en el sector aeroespacial, generando además sinergias con el know-how y la experiencia de sus participadas, lo que le permite prestar sus servicios no solo en el sector aeroespacial, sino también en otros como el ferroviario, naval o defensa, en los que comienza a explorar caminos de trabajo común aprovechando el impulso innovador de la compañía. En el sector aeroespacial, Elimco Aerospace es referente en ingeniería, integración, fabricación y servicios de sistemas eléctricos, electrónicos y aviónica, siendo experta en gestión integral de productos o sistemas automáticos, simuladores, unidades de control de cabina, consolas y equipos embarcados de alta complejidad, apostando por el desarrollo de I+D+i y la prestación de servicios en FAL. La compañía participa en los principales programas de Airbus, entre los que destacan los aviones A380, A400M, A330MRTT, Eurofighter y los helicópteros Tiger y NH90. Madrid, País Vasco y Cataluña son, tras Andalucía, las comunidades que contarán con más participación en Aerospace & Defense Meetings Sevilla 2018, el mayor encuentro de negocios del sector aeroespacial de España, que se celebrará del 15 al 18 de mayo próximos. ADM Sevilla cuenta ya con 254 inscritas de 24 países, incluidos los cuatro grandes fabricantes mundiales, 45 grandes contratistas internacionales y fabricantes de primer nivel (Tier1) y hasta 10 clusters aeroespaciales de distintas regiones de Europa y África. ADM Sevilla está organizado por la Consejería de Economía y Conocimiento de la Junta de Andalucía, a través de Extenda-Agencia Andaluza de Promoción Exterior, y por la empresa BCI Aerospace, especialista en reuniones internacionales del sector. En su cuarta edición, ADM 2018 refuerza su significación como mayor evento de negocios del sector en España, de tal forma que contará con la participación de 152 compañías de todo el país, de las que 54 son andaluzas (36%) y hasta 98 (64%) son de otras comunidades. Concretamente, Madrid es la comunidad que más empresas aporta después de Andalucía, con 47, seguida de País Vasco, con 19, y de Cataluña, con 16, siendo en total 10 comunidades las que tienen representación. El objetivo es respaldar las relaciones comerciales y establecer nuevas oportunidades de negocio entre las empresas españolas y las firmas internacionales que acudan el evento, a través de miles de reuniones profesionales b2b concertadas. De hecho, la participación ya registrada en esta cuarta edición refuerza también el carácter internacional de este foro, en el que ya se han inscrito 102 empresas extranjeras (40% del total). Francia, con 31; Italia, con 20; Austria, con 8, y Reino Unido, EEUU y Marruecos, con 6 empresas respectivamente, son los países que tienen más representación hasta el momento, si bien, también participarán compañías de hasta 24 países, los ya mencionados, así como Argelia, Argentina, Bélgica, Canadá, China, Corea del Sur, Emiratos Árabes Unidos, Japón, Pakistán, Portugal, Polonia, República Checa, Suiza, Taiwán y Turquía. ADM Sevilla 2018 cuenta con el patrocinio especial de Airbus Group, el mayor fabricante europeo del sector; de Alestis, Aernnova y Aciturri, los tres únicos fabricantes de aeroestructuras de primer nivel de España (Tier 1); de Sofitec y Carbures, empresas andaluzas fabricantes de aeroestructuras, componentes metálicos y composite; y de Stratasys, multinacional estadounidense de impresión 3D para la industria, lo que refuerza la internacionalización de ADM y la entrada en el evento de las nuevas soluciones de la industria aeronáutica, el composite y la fabricación aditiva. 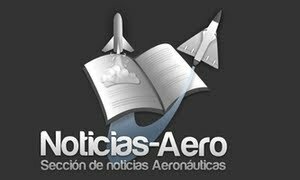 Por categorías, se han inscrito en ADM, además de los patrocinadores industriales mencionados, los otros tres grandes fabricantes mundiales, que son Boeing, Bombardier, y Embraer, y hasta 45 grandes contratistas y Tiers 1 (fabricantes de primer nivel), como Safran; Alestis Aerospace SL; Aciturri Aeronáutica; Aernnova; Sofitec; Aero Vodochody Aerospace AS; CMI Defence; Dassault Aviation; General Dynamics European Land Systems; MAP - Advanced Manufacturing Aeronautical Products; Mecachrome France; Potez Aéronautique, SA; o Zodiac Hydraulics. En su cuarta edición ADM Sevilla, que ocupará el Hall 2 de FIBES, se plantea como objetivo mejorar el carácter internacional y la calidad de las compañías contratistas que acuden al evento. De hecho, ADM Sevilla 2018 ha sido certificada de nuevo por el Ministerio de Economía y Competitividad como “Feria con concesión de Internacionalidad completa”. ADM Sevilla 2018 está cofinanciado en un 80% con fondos procedentes de la Unión Europea, a través del Programa Operativo FEDER de Andalucía 2014-2020. ADM Sevilla 2018 significa un paso más en el desarrollo de la estrategia de apoyo a la internacionalización de un sector que la Junta de Andalucía viene impulsando a través de Extenda de manera individualizada desde 2005. Tras el éxito alcanzado en las tres primeras ediciones bienales desde 2012, ADM volverá a proyectar al aeroespacial andaluz como una industria de referencia en el ámbito mundial y a Andalucía como un enclave estratégico para la inversión de proyectos de industria compleja. Igualmente, apoyan el evento la Agencia IDEA, de la Consejería de Empleo, Empresa y Comercio, con quien Extenda comparte stand, a través del proyecto común Invest in Andalucía; Aerópolis, Parque Aeroespacial de Andalucía; el Parque Tecnológico TecnoBahía e Invest in Spain, a través de ICEX, del Ministerio de Economía y Competitividad.